Spinning Spells is a 5 reel, 1024 payline slot from Gamesys. 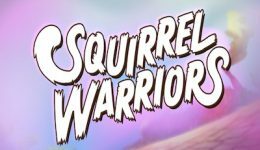 It’s currently exclusive to players at Virgin Games although we expect it will eventually migrate to other brands. 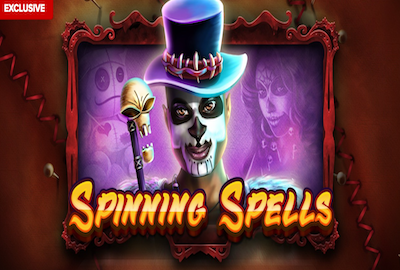 Based on the popular Mexican holiday, Day Of The Dead, this slot is bright and colourful. Will it cast a spell on you and can it generate big wins? Wagering on Spinning Spells starts at just 40p but can be adjusted up to a maximum of £200. Use the coin size button at the bottom left of the game to determine how much you wish to bet. There’s no autoplay feature which is disappointing for a brand new game. It is playable on mobile, desktop and tablet. The main game symbols comprise Day Of The Dead images plus playing card symbols (9 to A). The top paying symbol is a voodoo doll bonus that pays out x800 for 5 of a kind on a winning line. A male character pays out x400 whilst a female one x300! A cauldron and skull make up the remaining higher paying icons. Wilds complete the game’s line up. The bonus feature of Spinning Spells is free spins. These are activated when five or more bonus symbols appear on the reels. Note that bonus symbols must be on every reel. 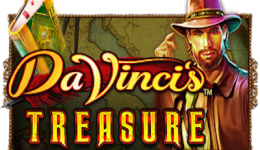 Five bonus symbols gives three free spins whilst ten bonus symbols offers the maximum of 15 free spins. During the free spin bonus round spins pay both ways, left-to-right & right-to-left. A different paytable also comes in to play! 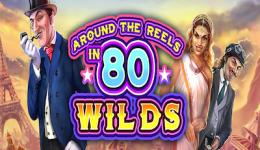 To add more excitement to the bonus round, wilds landing on reels 2, 3 or 4 during free spins add more wilds diagonally on reels 2, 3 or 4. This can generate some big wins. During our trial play of Spinning Spells we collected a Mega Win thanks to the wilds on the free spins bonus round. Spinning Spells is a great looking slot. The graphics are attractive and capture the theme well. Features are limited but sometimes you just don’t need all the bells and whistles to make an entertaining game. We’ve rated the slot as medium to high volatility. During our trial play we’d pick up occasional wins, but during the bonus round the wilds and pays both ways feature really kicked in.